Before Photoshop was part of a CS Suite, the leading Photoshop plugin was Kai’s Power Tools. 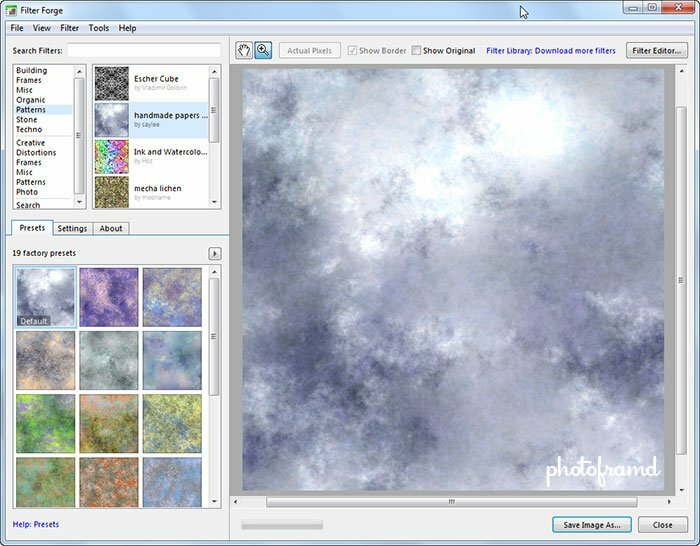 This set of innovative plugins allowed the budding Photoshop artist to create wild patterns on the fly. Unfortunately, KTP was lost in the mergers of Fractal Design, Metatools and MetaCreations. Today, KTP is owned by Corel and has not been updated past Photoshop 7 compatibility. Thankfully, there is Filter Forge. 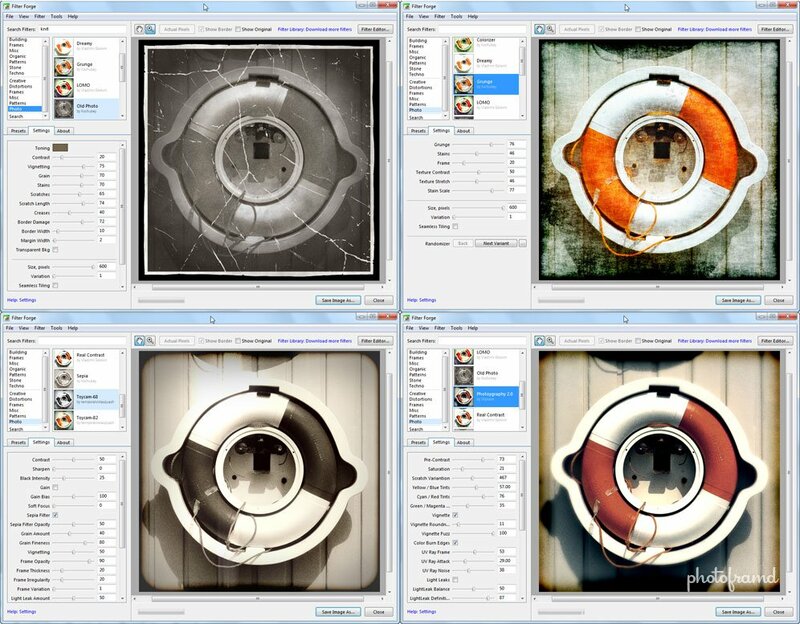 Now in Version 2.0, Filter Forge is more than just a set of static Photoshop plugins. At its core, Filter Forge is a visual node-based editor which allows you to create your own filters for realistic textures, organic effects, photo effects and distortions. Filter Forge 2.0 plugin is now both 32-bit and 64-bit compatible and even supports multiple CPUs (Pro Edition only). All filters can be applied to 8-bit, 16-bit and 32-bit images with settings to control real-world HDRI lighting, bump and normal maps and produce high resolution images and even seamlessly tiling. Best yet, Filter Forge is supported by a growing user community which uploads their filters for free use by other Filter Forge users. 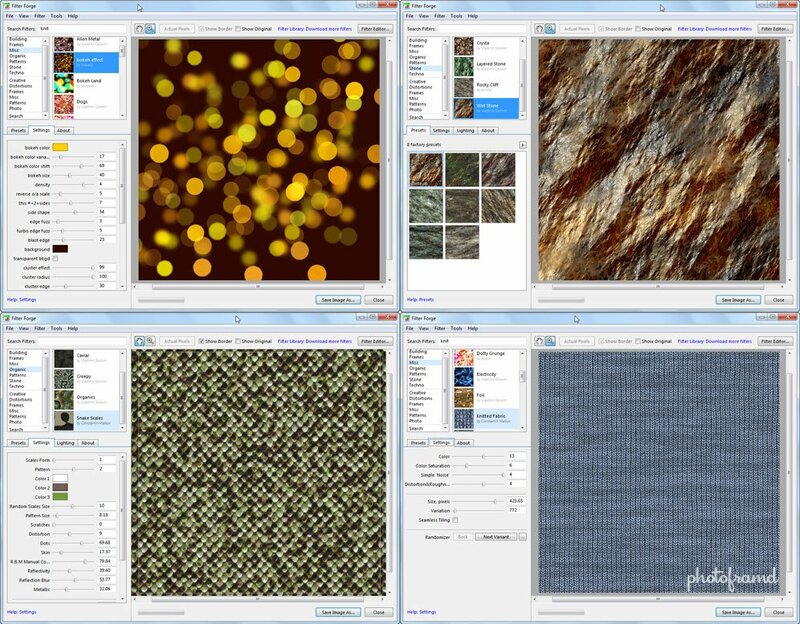 Currently, there are over 7900 filters available – of which 3800 are photo effects and 4200 are beautiful textures suitable for backgrounds and even 3D texture maps. Filter Forge is available for both PC and Mac in 3 different editions – Basic (which does not include a filter editor), Standard and Professional (which do include the editor). All editions do include full access to the growing 7900 filter library. You can download a free trial direct from Filter Forge.